Invest and protect. Whether you are a first time buyer of bullion, or accumulating precious metals as part of a longer-term investment strategy; we uniquely understand the important decisions you need to make regarding where, when and how to best protect your purchase. It’s why we developed–and patented–the first and only insurance solution perfectly suited for your needs. We understand why you may decide to take home delivery of your purchase–what is more gratifying and fulfilling than seeing and touching what you worked so hard to obtain. But year over year the same story line persists: Receiving shipments of gold or silver at your home makes you more vulnerable to burglary; and the chance of recovering stolen property is dismal. Sadly, FBI crime report statistics show that 93% of stolen items are never recovered. So take home delivery, but make certain to store your investment off-site–in a safe deposit box at a local bank, credit union or at private vault facility–and then insure your purchase. 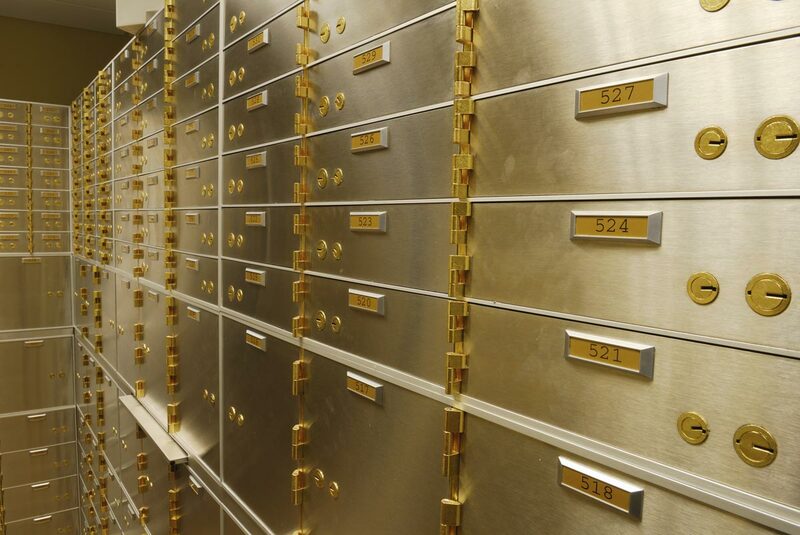 In addition to the peace of mind that comes with a safe deposit box, you now finally have easy access to blanket coverage for the entire contents of a safe deposit box. SDBIC is the most comprehensive and cost-efficient insurance in the market. There are no disclosures, appraisals or deductibles. You no longer need to have your purchases shipped to a remote depository and rely on a piece of paper to confirm what you own. SDBIC provides you with the ability to conveniently and affordably insure your assets against theft, natural disasters and catastrophes, while still being able to physically inspect, verify, touch and hold them. It all starts with you making the prudent decision to store your assets in what is universally recommended as the securest place–a safe deposit box at your local bank or credit union or at one of our growing network of SecurePlus accredited private vault facilities. You then just conveniently sign-up for insurance from SDBIC in a 5-min online process that does not require disclosure or appraisal of the items you are storing. You now have a policy issued directly in your name insuring the precise value of your holdings. And your property is held in a segregated unit, not with other similar type assets as typically done at a depository. Perhaps most important, the combined cost of the rental fee and insurance is significantly less than what you would pay at any depository. Using a Self-Directed IRA to Purchase Qualified Precious Metals? You are not required to use the dealer-sponsored depository. A SecurePlus accredited private vault facility close to your residence is a local, acceptable option– and your local bank or credit union may also be an option to accommodate direct delivery and storage. Combined with an SDBIC insurance policy, either of these options will offer you greater coverage at a lower cost–and keeps the items close to home. SDBIC can even help coordinate the process with your IRA Administrator and the storage facility. Blanket insurance from $5k to $500k and above is available for your investment while stored in a safe deposit box or a SecurePlus accredited vault. There is no need to provide a schedule of items or appraisals. The policy will cover your precious metal investment plus any other property you elect to keep in the vault or box, including previously uninsurable items such as cash, currency, titles, deeds and even certifications and appraisals if destroyed. Protection is provided against theft, natural disasters and catastrophes including floods, hurricanes, earthquakes and terrorist attacks which are excluded on many policies. The purchase process is simple, fast and fully transparent. You choose the coverage limit needed, and pay the corresponding annual premium. If you add items you can simply increase the limits on your policy. All of this can be done online or via phone–and in less than 5 minutes.